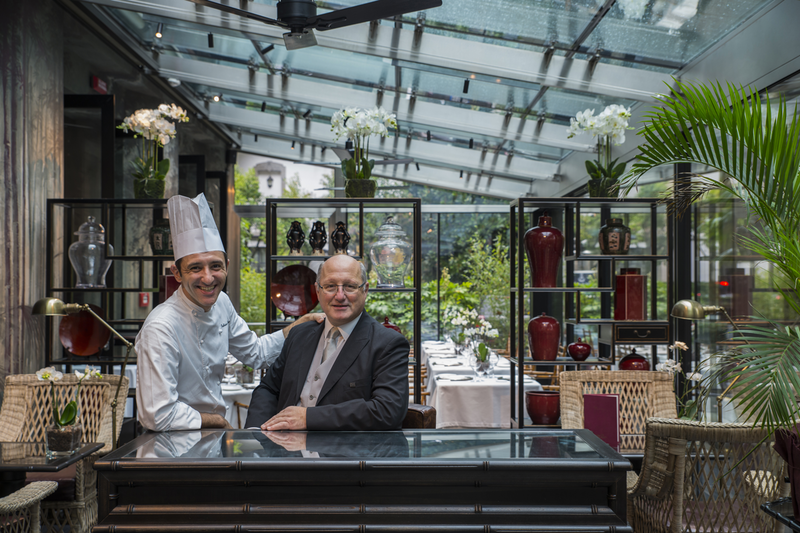 Luigi and Arcangelo Nardi are both CEO and General Manager. Both born and raised in hotels, they improved their skills at the Ecole Hôtelière de Lausanne and worked with major international hotel brands (Savoy, Trust House Forte). In two years’ time, plan to build new deluxe rooms. In the 19th century, Eden Restaurant – former property name – already offered some rooms to wayfarers. After the assassination of King Umberto I of Savoy happened in Monza in 1900, it was necessary to increase the number of rooms for those who went to pay homage. 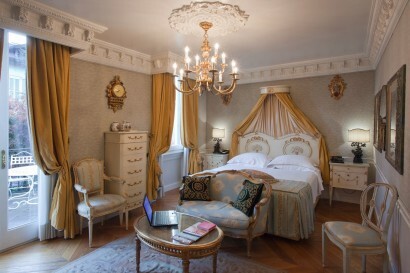 The name changed into Hotel de la Ville once Nardi family took over the management in 1958. 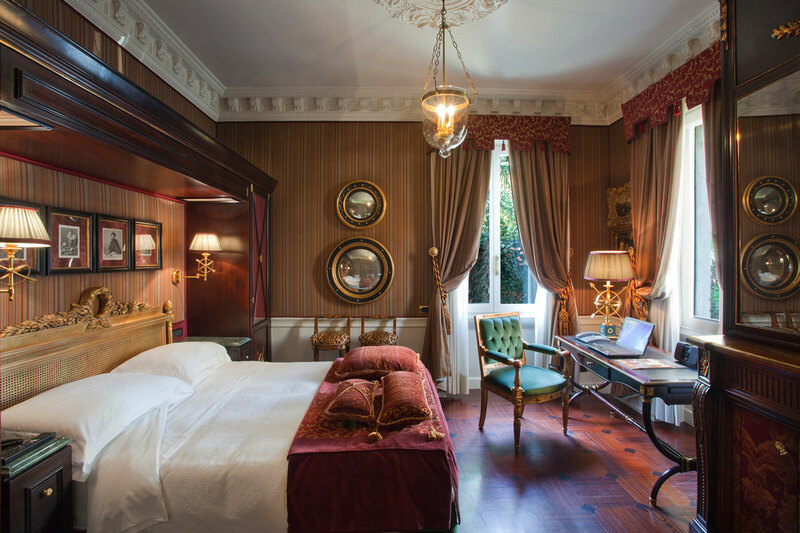 Since then, they worked hard to position the hotel within the finest independent hotels in Italy. Decades after decades, the hotel became the preferred choice of the Formula 1 Circus. 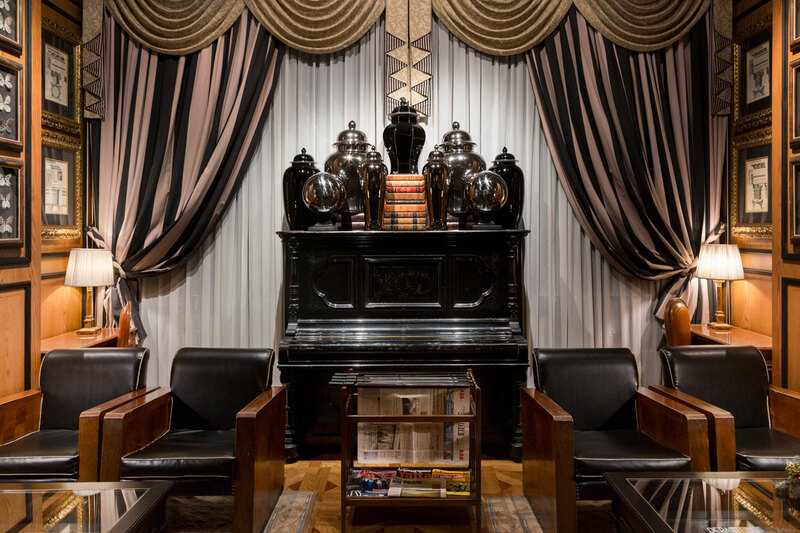 The most iconic drivers from the old days to our times, once a year, consider Hotel de la Ville their home away from home. Refurbishment of 11 entry level rooms in 2016. In 2000, the inauguration of « La Villa », luxurious dépendance adjacent to the hotel. In 2005, the new deluxe wing was added to the property. In 2018 a glass Veranda facing the Royal Palace was open. Considered the landmark hotel in Monza and Northern Milan area, the hotel has a very personal charm. 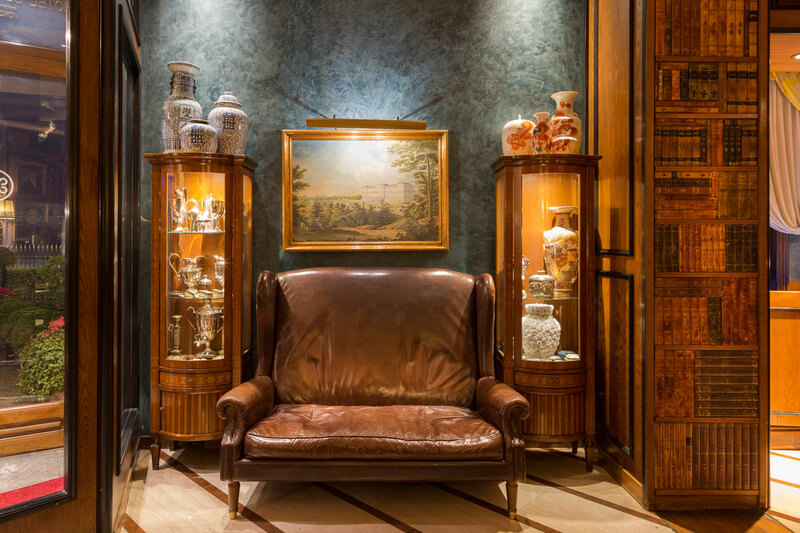 Richly furnished with art collections and fine details are also characterized by personalized service. 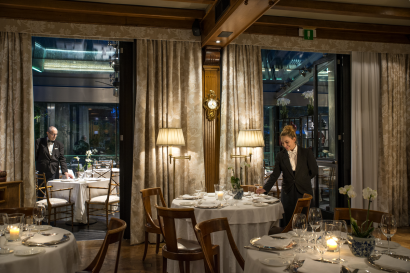 The hotel is highly recognized for its Derby Grill Restaurant, included among the “Table Remarquable” of Les Collectionneurs selected by chef Alain Ducasse. 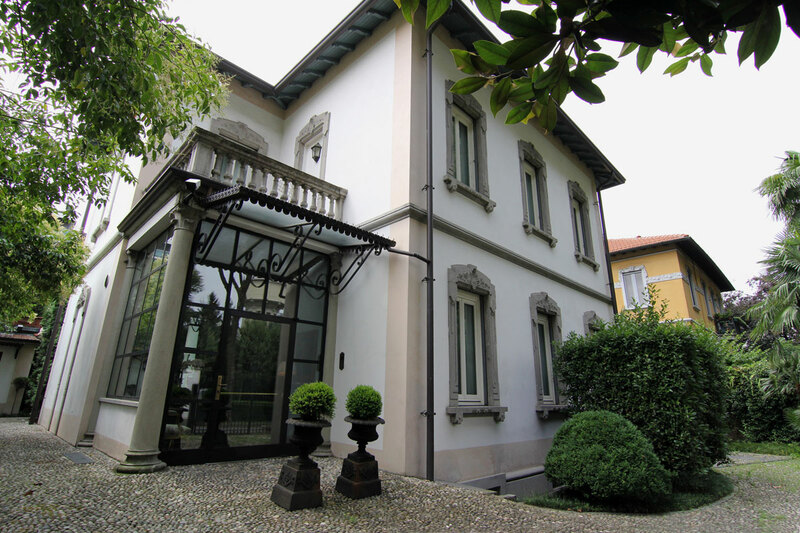 Just a short walk from Monza’s historical centre, Hotel de La Ville stands opposite the majestic Villa Reale and is located in the heart of Lombardy region, just 16 km away from trendy Milan, and only 40 km from the exclusive and worldwide renowned Lake Como shores. Second largest royal palace in Italy after Reggia di Caserta, Villa Reale of Monza lies inside Monza park, one of the biggest walled parks in Europe, which also hosts the International Formula 1 racetrack (2.2 km away from the hotel), and the 27-hole Golf Club Milano (3 km away from the hotel). In the historical city centre, the Cathedral hosts Zavattari’s Chapel and the Iron Crown, used by Charlemagne onwards as the crown of the Holy Roman Empire. 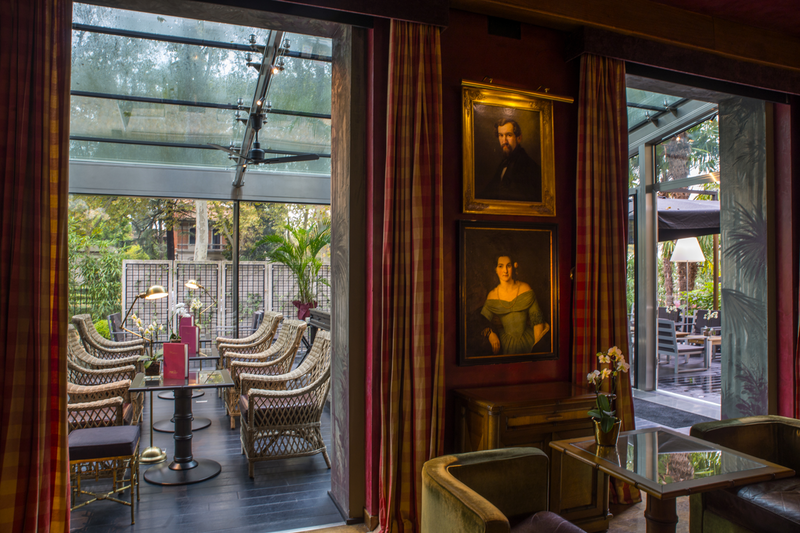 Nardi family not only manage the hotel, but also live in the property. For them, hospitality is not purely a job, is definitely their style of life. Children are welcome, complimentary crib up to 3 years old available in every room. Even though we don’t have children special or family rooms, connecting deluxe rooms are available. 3 Suites and 5 Junior Suites. Two of these rooms are located in our luxury dependence “La Villa” , with beautiful private garden access, while the others directly overlook the Royal Palace. 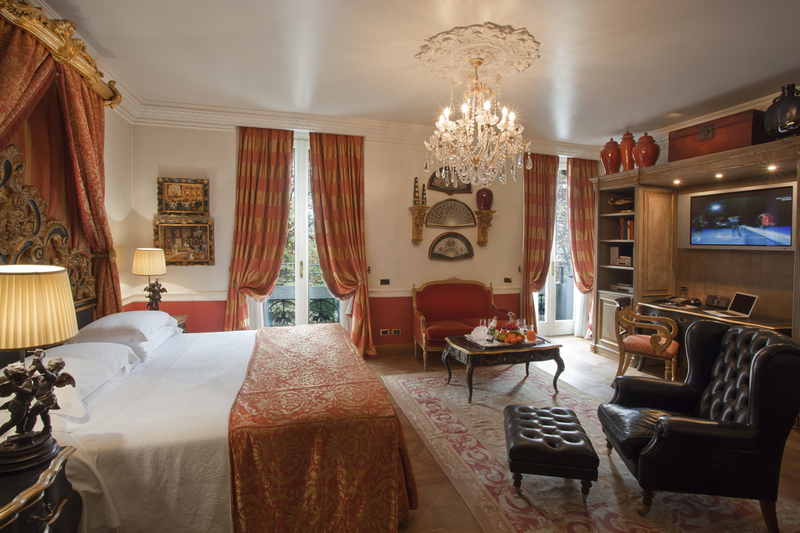 The deluxe rooms divide between La Villa dépendance and the deluxe wing in the main building. All show wooden floor and most of them have both shower and bath tube. 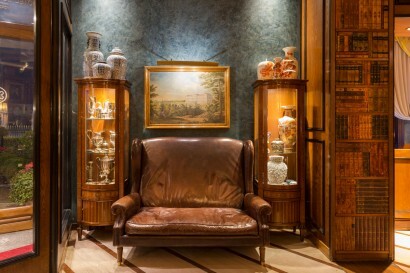 Each room is unique and offers the charm of antique furniture and fine details, which give the elegance and great character. 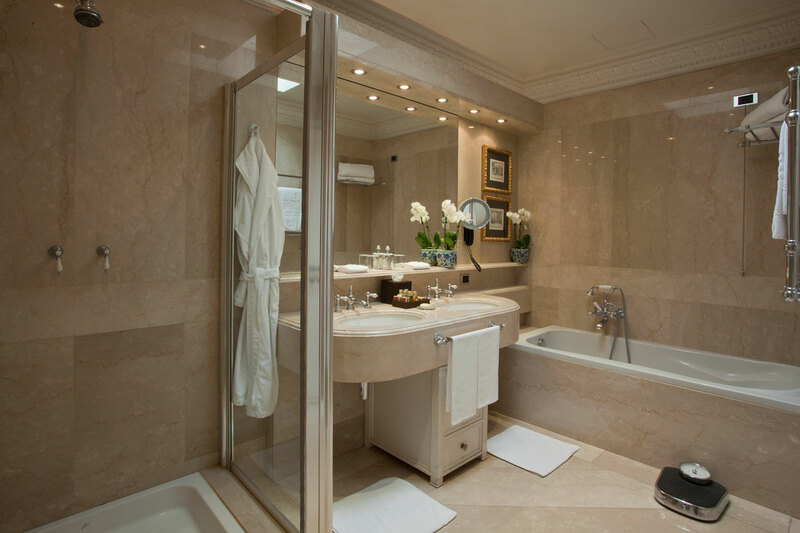 Marble bathrooms and precious rugs combine with the latest technological comforts. 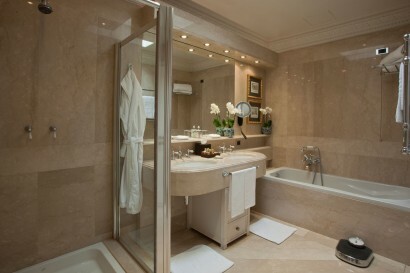 Wi-Fi high-speed Internet connection and Sky tv channels are available in all rooms. Some have a private terrace, while others have little balconies. Derby Grill restaurant: rated as one of the best restaurants in Italy, is welcoming, cosy and intimate, with a crystal Veranda, which is the perfect location for romantic dinners with view on the Royal Palace. Executive Chef Fabio Silva combines his love for Italian and regional cuisine with a great interest in new trends and passionate research in the use of local raw ingredients. 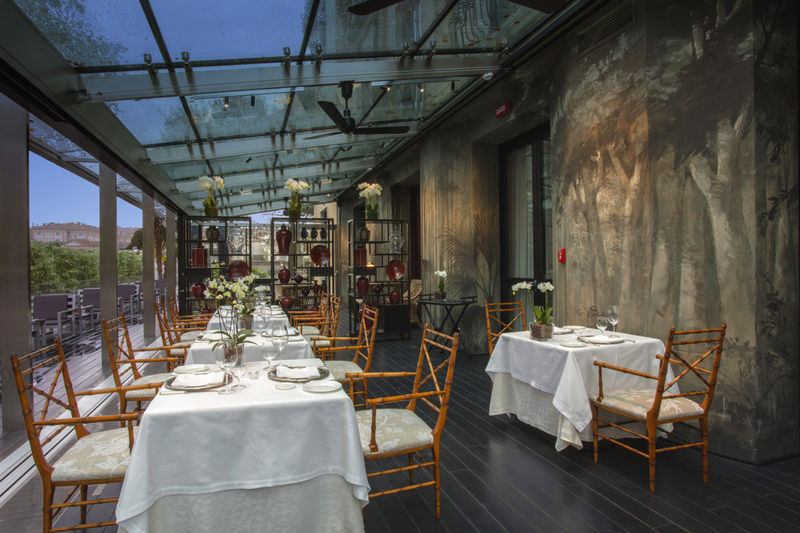 Listed 3 red forks in the Michelin guide and included in the Table Remarquable de la Collection by Alain Ducasse. Derby Bar: next to the restaurant, is classy and intimate. 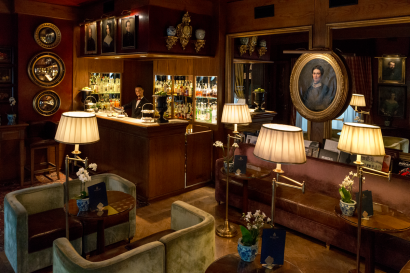 The atmosphere recalls most stylish British clubs: captivating and exclusive, it is the best location an aperitif, an informal snack or an after dinner cocktail in the cosy atmosphere of the library or in the colonial glamour of the Veranda..